PQP #118: ARMIE HAMMER and CORBIN BLEU Talking, SINGING, THE LONE RANGER PREMIERE & BROADWAY with PIPER REESE! July 6, 2013 January 26, 2019 - by TeamPiper - 43 Comments. PQP #117: LONE RANGER AWESOMENESS! 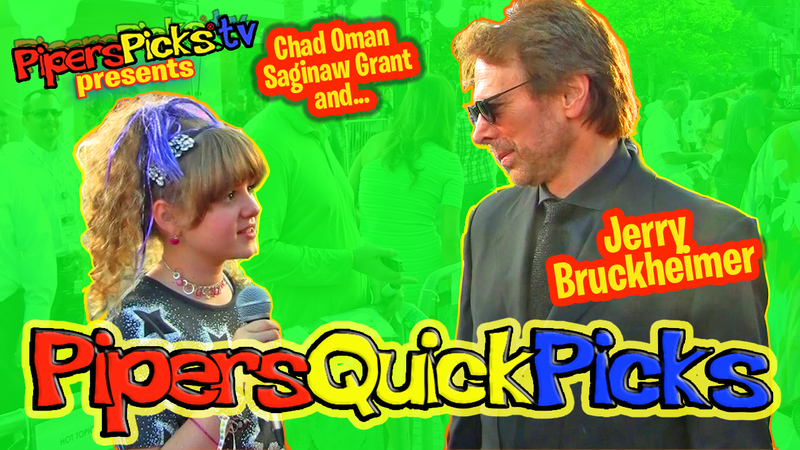 JERRY BRUCKHEIMER, CHAD OMAN & SAGINAW Talk SILVER & AMERICAN INDIANS! June 25, 2013 August 28, 2013 - by TeamPiper - 41 Comments.